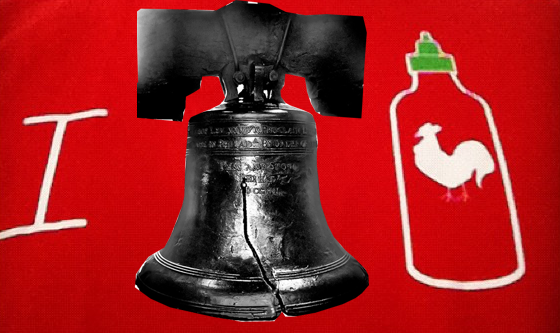 With the makers of Sriracha chili sauce feeling the heat from folks in Irwindale, CA, who say the Huy Fong factory is releasing a smelly, stinging odor into the neighborhood, one Philadelphia City Council member is calling on the company to relocate its saucy operation to the City of Brotherly Love. In a letter to Huy Fong CEO David Tran, Philadelphia City Councilman James Kenney makes his case for why the Pennsylvania city (that I just happen to call home) is a better fit for the company. can’t handle the fragrant aroma emanating from your factory there,” writes Kenney. tasted the same since your beautiful red and green-capped rooster bottles started lining local grocery store shelves. While the folks in Irwindale had hoped for an immediate shutdown of the Huy Fong plant pending the outcome of their lawsuit, the judge in the case ruled that the plant can stay open at least until a Nov. 22 hearing on the matter. Previous Will AirBNB And Etsy Destroy The Economy, Or Save Us All?